The Student Government will have a $1 dress down day this Friday. Proceeds will go toward their Easter Service Project. Save the date for the Sports Banquet on Saturday, May 18th. VBS - Marvelous Mystery: The Mass Comes Alive! Registration is now open for our Vacation Bible School Marvelous Mystery: The Mass Comes Alive! from June 24th - 28th. 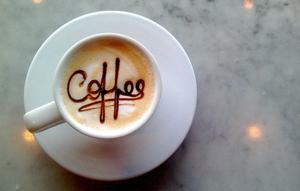 All OLG parents are invited to a morning coffee session with Mrs. Brown on Monday, April 29th at 9:00 A.M. Please RSVP by Wednesday, April 24th. Mrs. Muraco - Golden Apple Award Winner! 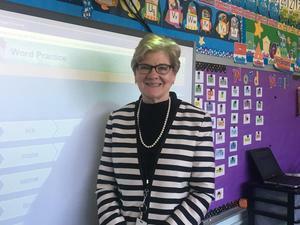 Congratulations to our Kindergarten teacher, Mrs. Geraldine Muraco, who is one of the 2019 winners of the Golden Apple Award in the Diocese of Pittsburgh! The Athletic Association has extended the deadline to the end of April for their collection of gently used shoes for their fundraiser. Thanks to everyone who has donated so far - we have collected 2000 shoes! We want to reach our goal of 3000 shoes - so do some Spring cleaning and bring those unwanted shoes to the school! We are currently accepting applications for the 2019-2020 School Year. Call us to schedule a tour. Current families - registration forms were sent home in Mail Day. Please send in your completed registration forms as soon as possible. 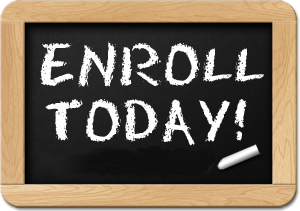 Online applications are currently being accepted for the 2019-2020 school year. All applications must be made online. The deadline to apply for financial aid is Friday, March 15th. Please remember to RSVP for Coffee & Questions with Mrs. Brown! Save the date for the Athletic Association Sports Banquet on Saturday, May 18th. Don't forget to buy your tickets for the Drama Club play "Who's Afraid of the Big Bad Prince?" on Friday, April 26th.